If you are attending the FGS 2011 Conference in Springfield next week and are looking for something fun to do in the evening, check out the walking tours provided by Springfield Walks. Springfield Walks provides two different walking tours: Lincoln’s Ghost Walk and The Haunted Dead Walk. I personally have been on the Lincoln’s Ghost Walk tour and had a wonderful time. It was a unique way to see some of the historical places in downtown Springfield, all of which are associated with Abraham Lincoln. The tour guide was great and very knowledgeable. I imagine the Haunted Dead Walk would be just as fun, and someday, I hope to do it. Both of these 90-minute tours begin at the Old State Capitol Plaza at 6th and Adams, which is about five blocks from the Hilton and Prairie Capital Convention Center. Details, such as days, times, and ticket information can be found here. 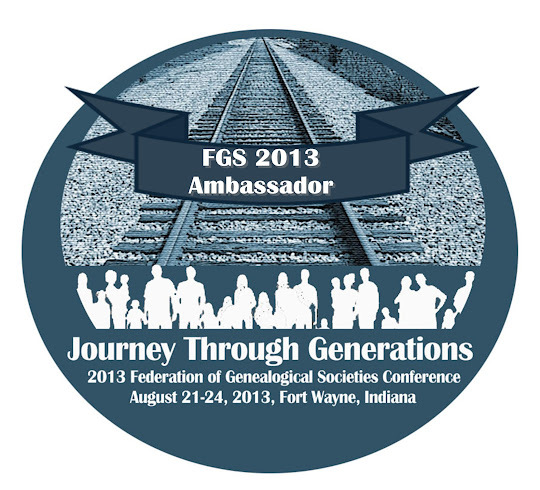 For other ideas on places to visit, see the FGS Conference New Blog’s “tourism” category. It is a lot of fun. I did the Lincoln one with a cemetery group...we spent the whole day in Springfield doing a variety of things. You can read about it here.